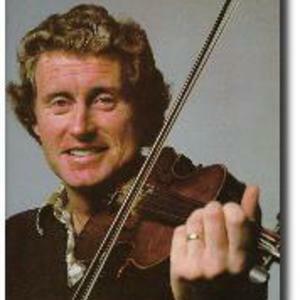 1) Se?n Keane (fiddler) Se?n, a native of Dublin, grew up in a home steeped in the traditional music of Ireland. His parents were both traditional fiddlers and he began playing the fiddle at a young age. He displayed his talents at an early age and was sent to the Dublin School of Music where he received classical training. However, after a number of years, traditional music began to take over his playing and he soon left the classical. Se?n, a native of Dublin, grew up in a home steeped in the traditional music of Ireland. His parents were both traditional fiddlers and he began playing the fiddle at a young age. His talents soon caught the eye of Se?n ? Ri?da and he was invited in the mid 1960's to join Ceolt?ir? Cualann to play fiddle alongside Martin Fay and John Kelly. He joined The Chieftains in 1968 upon invitation by Paddy Moloney and his first appearance with them was at the Edinburgh Folk Festival. Besides his work with the Chieftains, he has also recorded a well received solo album, Se?n Keane and a duet album with fellow Chieftain Matt Molloy on Contentment is Wealth. He has also recorded with Mick Moloney and his brother, James Keane, on the album Reel Away the Real World in 1980. He also joined his brother on his album, Sweeter as the Years Roll By in 1999, as they played with a number of younger artists in the Irish tradition including Se?n's sons, Darach and P?raic. Se?n is best known for his fiery fiddle style and his style is often influenced by that of pipers, especially Willie Clancy and his first solo album Gusty's Frolics reflects a piper playing. Se?n maintains the tradition of collecting fiddle tunes from throughout Ireland and takes the time to teach youngsters his incredible style on the fiddle. Se?n Keane comes from one of Co. Galway, Ireland's famous musical families and has been perfroming since childhood. He was voted Performer of the Year by readers of Irish Music Magazine in 97/98 and 98/99, and called "the greatest Irish musical find of the '90's" (London Independent), and "the fastest rising star of the Irish music scene"(Irish Times). His musical voice is unique and his songs encompass a mixture of traditional Irish folk music, pop, blues, and country.